Note that you get padding too, so it’s easy to do things like generating replacements for the [Frame] token. 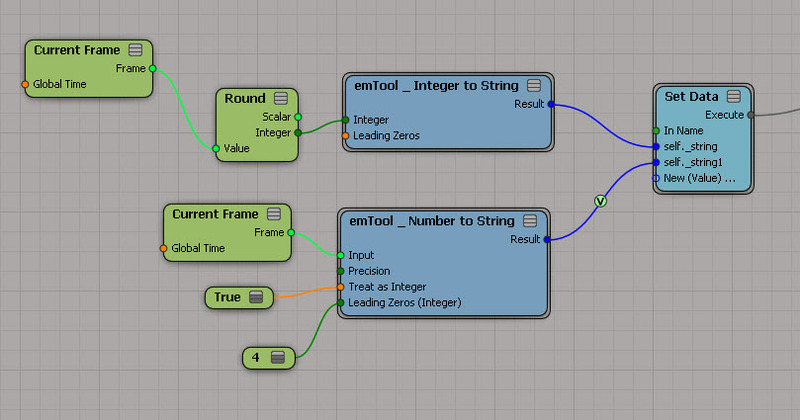 For fun, I tried to create my own integer-to-string converter using the stock nodes. I did by dividing by 10 until the quotient (the result) was zero; with each division, I take the remainder and stick it at the front of the string. And by setting Max Repeat to 4, I get padding on my strings (so for integer 45 I get “0045”). 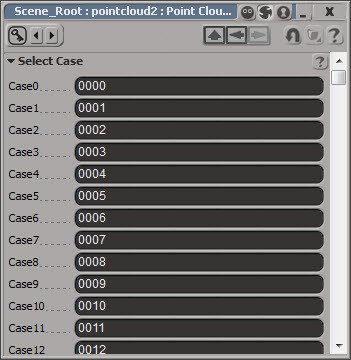 The catch is that the Select Case node has ten thousand cases. 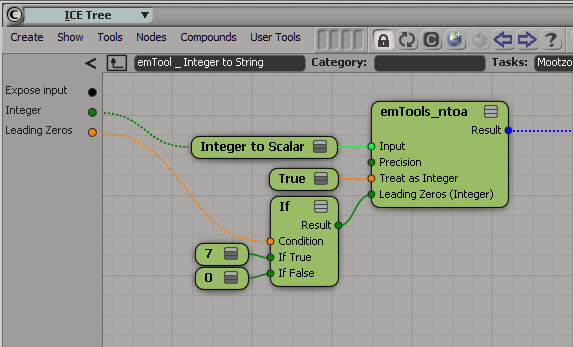 That’s really slow when you create that node in an ICE tree (for example, by importing a compound that uses it). It also takes a long time to create ten thousand cases, even with a script.